The Durham Art Guild is seeking exhibition proposals for our 2019 Exhibition Season. DAG reserves solo and group exhibits at our two primary public galleries, at Golden Belt and the Durham Arts Council, for DAG member artists. 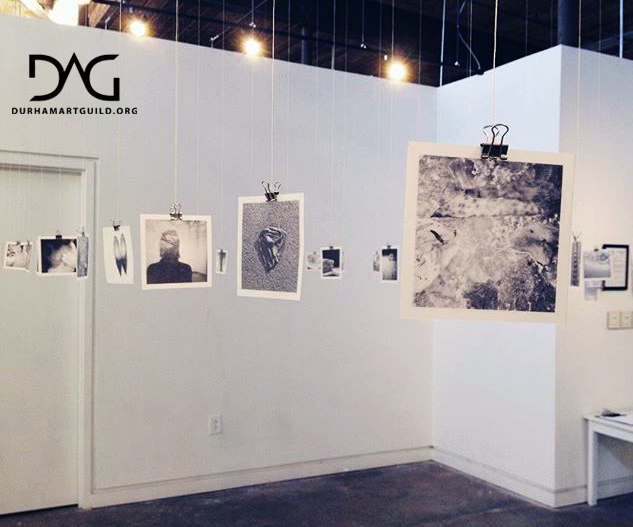 The opportunity to exhibit in these prominent spaces is one of the greatest benefits of being a member of DAG. Not yet a member? Not quite sure? Visit the MEMBERSHIP tab on our website to join DAG and learn more about the benefits of membership. DAG membership is open to all artists and art enthusiasts (not just Durham residents) and we strive to make membership accessible and inclusive by providing discounted student level memberships and membership scholarship options. We are currently running a $5 off membership special through November 27 to encourage local artists to take advantage of current and upcoming opportunities. The discount is deducted at check-out. We streamlined solo exhibit proposals into one application this year. You can indicate your space preferences and timeframe preferences within the submission. Group proposals for SunTrust Gallery are still in a separate application below. CLICK HERE for solo exhibition details. A group of artists or an organization or an independent curator can submit a group proposal for consideration at SunTrust Gallery. The group must present a cohesive body of work or concept, for example, by style, medium or theme etc. CLICK HERE for group exhibition details. If you have read the details and are interested in submitting a proposal, you can use the link below to login, upload and submit by November 27 at 11:59pm. CLICK HERE for DAG submission website. CLICK HERE for the DAG newsletter announcement about the new DAG Gallery at Golden Belt and our call for 2019 exhibition proposals. Featured image is of Laura Williams’ recent “#Found(not taken)” exhibition, our last exhibit at Room 100 Gallery.